This 100% Indica variety developed in 1998 with new genetics comes from a couple of seeds that were rescued from a very powerful and cerebral Chitral Kush hash plant and crossed with a stud from a traditional Moroccan plant which we will call Mi7-B. 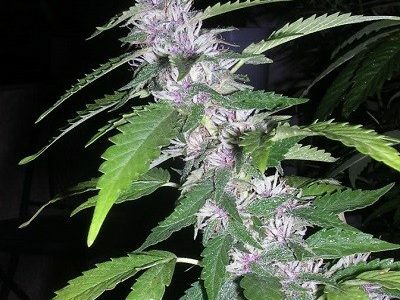 The dense buds with lush dark green and resinous leaves have a special aroma and different from everything we have known. We believe it is the most suitable for medicinal use. It offers a spectacular development under artificial light and outdoors. It is an exotic variety with a high percentage of THC and a sweet aroma and a pungent scent of musk. Moroccan/Pakistani 100 % indica hybrid. Compact and robust plant. Lush dark green and resinous leaves. Special aroma, different from everything we have known. Pleasant and relaxing hashplant effect. Very suitable for medicinal use. Vegetative period: Minimum 30 days for a high yield. This entry was posted in Cannabiogen. Bookmark the permalink.